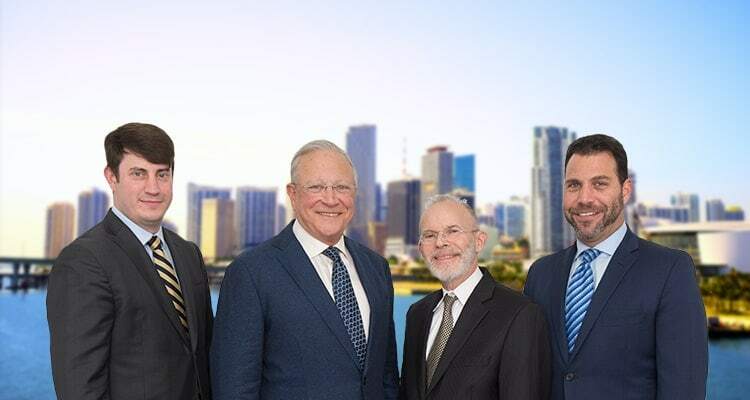 For the last 48 years, the Broward wrongful death lawyers at Gerson & Schwartz have helped numerous families recover damages resulting from the wrongful death of a loved one. Grieving families that become the victims of negligence and reckless acts may be struggling financially and emotionally, not knowing where to turn for help or if help is even available to them. Gerson & Schwartz law firm is here to help. Wrongful death law suits are intended to provide for the financial and emotional support of families and statutory survivors under Florida Wrongful Death Act. Only certain family members or dependents who have lost a loved one in an accident arising from negligence or reckless acts have a legal claim. Examples of common types of wrongful death claims result from negligence of others. Often these are due to motorcycle accidents, drunk driving accidents, due to defective products, or medical malpractice. At Gerson & Schwartz PA, our team of legal professionals can answer your questions about wrongful death claims. Contact the Broward wrongful death attorneys at Gerson & Schwartz at (305) 371-6000 for a free consultation. Wrongful death claims in Florida including Broward County, are based upon a contingency fee basis. Fees associated with the wrongful death suit are only paid if the case has a successful outcome. Losing a loved one in an accident resulting from the negligence or reckless acts of another leaves families to deal with the pain of loss. Distraught, angry, and devastated, these families are often left to wonder how they will survive financially and emotionally. Wrongful death claims in Broward must be filed within two years from the date of death. Failure to act within the time prescribed under Florida law will legally bar your claim. So don't wait and contact a PI lawyer near me by contacting Gerson & Schwartz, PA. For over 48 years our injury firm has helped victims In Broward County recover money damages against property owners, auto manufacturers, and drivers, and other business entities. Consultations are free so don't wait. Contact us today to find out how we can help by calling (305) 371-6000 or toll free at (877) 475-2905. Broward County is located on the east coast of Florida. Broward County is situated to the south of Palm Beach County and to the north of Miami-Dade County. There are 30 cities within Broward County, including the popular tourist destination of Fort Lauderdale. There are more than 1.9 million residents in Broward County. 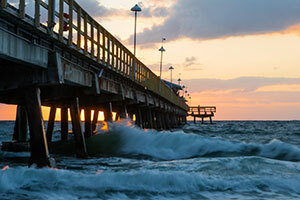 The warm weather and coastline attract millions of tourists to the cities located on the beach, including Fort Lauderdale, Hollywood, Dania Beach, and Pompano Beach. More than 12 million tourists visit Broward County each year. These tourists visit from other states as well as internationally from countries such as Colombia, Brazil, United Kingdom, Argentina, Venezuela and Canada. Broward has hundreds of retail stores, shopping malls, restaurants, hotels, and businesses located throughout the county. It is easily accessible from the north, south, and west by the main highways of I-95, I-595, I-75, the Turnpike, and the Sawgrass Expressway. Unfortunately, with the numbers of people living and visiting Broward County some people end up as fatal victims of negligent and/or intentional acts of others. Families and survivors of wrongful death victims often need the advice of the best Broward wrongful death lawyer that they can call. Losing a loved one is a painful and life-altering event. There are several steps involved with wrongful death suits including setting up an estate and the appointment of a personal representative to act on the estate and the survivor’s behalf. Our Broward wrongful death attorneys can help you through this process. If your family has been impacted by the death of a loved one that is the result of negligence, contact our Broward wrongful death lawyers at (305) 371-6000.